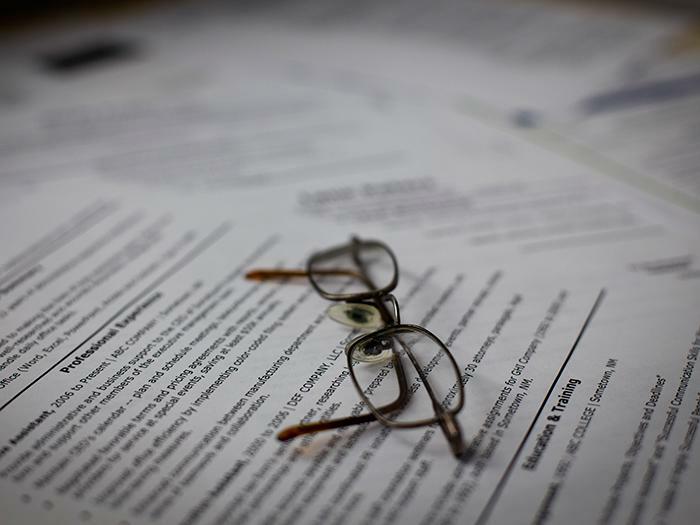 The two most popular formats when you write your resume are Chronological, which lists your work history from most recent on down, or Functional, which highlights your achievements in specific areas. Each form of resume has its purposes. A strictly Chronological resume works well when you have a solid work history, with few or no gaps between jobs. The Functional variation is best suited for the opposite situation. It takes the emphasis off of the flow of your work history and places it instead on your accomplishments, regardless of the year they took place. Then we have the Combined format. It too is ideal for those who have an uninterrupted work history. However it allows you to bundle your achievement statements under separate sub-headings within each job that you have held. Therefore an employer can quickly see how your qualifications match their requirements. Prepared yearly departmental budgets, including funds for staffing and outside services, reducing costs by 10% compared to the previous year by eliminating wastage. Recruited, interviewed and hired one new CSR to the team. Terminated the employment of a non-performing staff member after providing numerous opportunities for coaching and improvement in work ethic. Created training program to bring new CSR’s on board faster and more efficiently. Conducted a needs analysis and worked with Human Resources specialists. Delivered this program to the newly hired employee, quickly boosting their effectiveness. Note how the “Work History” in the above example is constructed. You begin by putting together a typical Chronological resume. Start with your most recent job. Then add accomplishment statements that demonstrate your skills and abilities. Service Manager job are grouped under an appropriate sub-head. Where do the names of these sub-heads come from? That’s where you, the job seeker, get to play detective. You will need to read relevant job postings on Monster.ca to see what employers are asking for in terms of an applicant’s work experience and credentials. In the case above, the applicant noticed that many potential employers were asking for similar sets of skills. So to make their related achievements more obvious, the job seeker chose sub-heads that matched the words being used by employers in their ads. You can add more bullet points under each relevant sub-heading, or you can use additional sub-heads. Try to be consistent in your style from job to job (that is, use the same sub-heads when appropriate). And be sure to include as many appropriate keywords as you can. With a bit of organizing and a few hours of detective work, you can turn your basic Chronological resume into one that underscores the exact skills and experience employers you are applying to require. This makes it easier for them to spot you out of the crowd and may enhance your chances of getting the job interview.